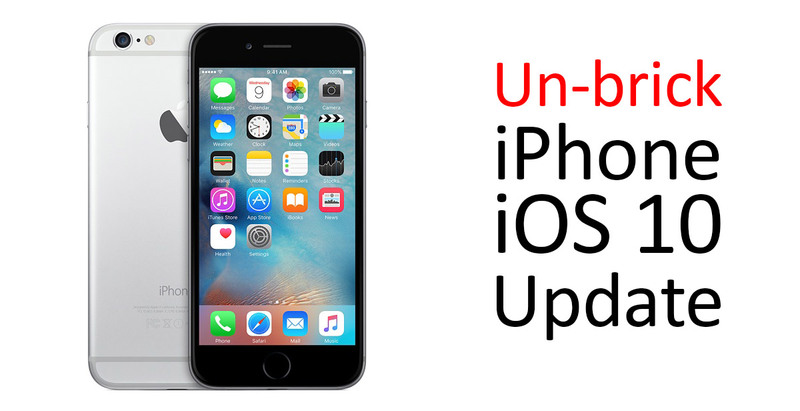 As soon as Apple released iOS 10 to the public reports started coming that older iPhones were getting bricked. Although it is not a permanent brick, and it can be fixed very easily. But given the public beta that iOS 10 went through, it's hardly acceptable. Connect your iPhone to a Mac or PC. Then open iTunes. You'll need to force restart your phone and get in recovery mode. To enter into the Recovery Mode, press and hold the Sleep and Home buttons. Keep them pressed till you see the Recovery Screen. iTunes will prompt you to choose Update or Restore, please select Update to continue. If the process doesn't begin, repeat above steps. Let the installation complete and then setup your iPhone. This should fix the issue with the update and you can get all the new iOS 10 goodness. However, if you haven't updated your iPhone yet we would recommend waiting till Apple fixes issues with the update. Just keep a lookout here, we will let you know when it's safe to update. In the meantime, backup your iPhone to iCloud so that you always have your data safe. If you are unable to fix your phone with the above steps or just don't want to deal with it, take it to Apple Store and they will fix it right away.